Crowdfunding: Done, thanks a lot funders! Hello, my name is Wolfgang «Fadi» Dorninger, I curate and produce the exhibition Cassette Culture Node.Linz. The exhibition will take place in Vienna, Austria for four weeks starting end of May 2019. Thomas Resch of Monochrome Bleu fame will guide you through the exhibition, and once a week there will be an evening of concerts, and lectures. The exhibition will delight «Musicmaniacs» and «Tapelunatics», and will open new perspectives to people interested in art and culture. For this I need your financial support! You will ask yourself, «What is Cassette Culture and does Node.Linz mean?». «Why is «Fadi» doing an exhibition about a medium, and music from the 80s and early 90s?». «Is this exhibition also about questions of the future?» Of course we do ask if and how artificial intelligence will change the music world, if the production of music will make sense in the future, what the digitalisation has done for us, and if questions on things like FREEDOM, AUTHENTICITY, FUN, EXCHANGE, … COUCHSURFING, … DEVICE HACKING are a thing of the past? Between the years 1984 and 1994 I ran the cassette label «Die Ind» (Die Industrie, Die Independent, …). 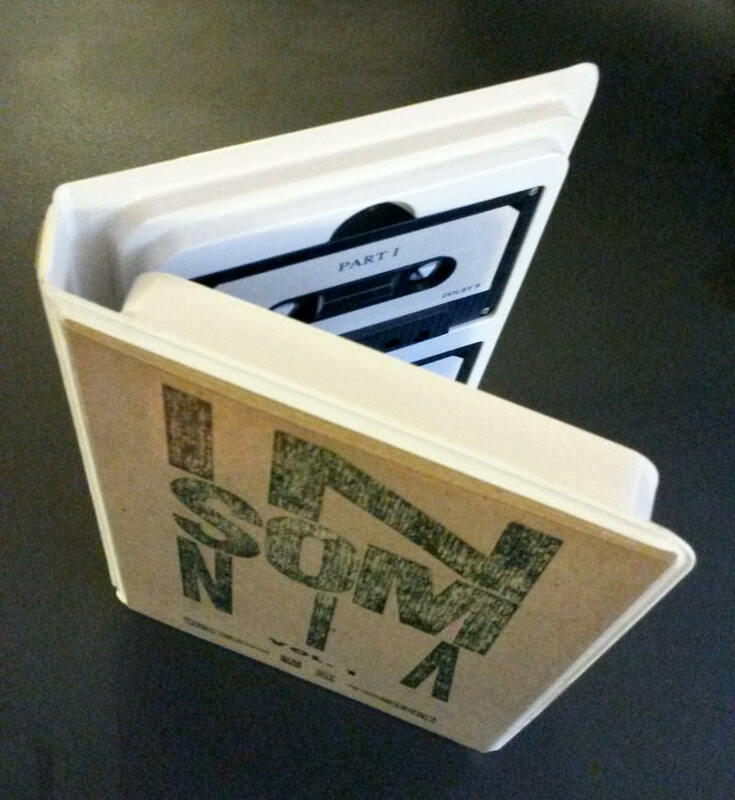 The local cassette editions «Fadi The Sampler Linz», as well as the international cassette/magazine edition «Tape Report» were highly successful. In the context of the international cassette network – Cassette Culture – I often travelled to the USA, Germany, the Benelux states, and other countries, together with my groups Monochrome Bleu, and Josef K. Noyce. These tours were almost exclusively organized through contacts from the Cassette Culture network. Networking, exchange, and documentation were important factors of the network. The sound: Experimental music, Industrial, and Ambient. In the exhibition I will show the global radius of action – the Node.Linz. It wasn’t enough to tweet 140 characters, we wrote long letters, we didn’t get to know each other through avatars, but rather through letters, artworks, pictures, and meetings. We made music and radio together, we did long interviews for fanzines and videos. We were always in movement and organized concerts for each other, held a long-lasting discourse, and always offered each other a place to stay. What we are left with from that is a deep connection, that is still very much here to this day. A node in the Cassette Culture area was the connection between two producers as exchange points in the Mail Art sector. 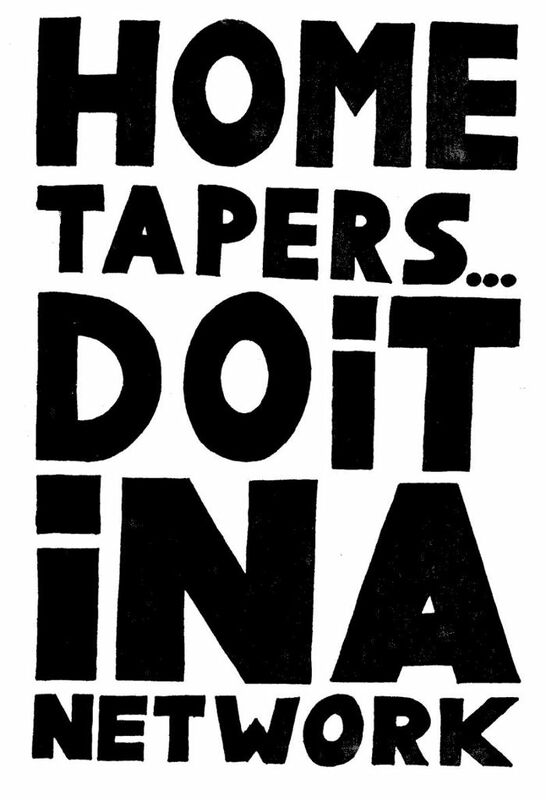 Similar to today's Internet where data is exchanged, tapes, postcards, posters or fanzines were exchanged and distributed. DIE IND, the cassette label of Wolfgang "Fadi" Dorninger acted as node Linz from 1984-1994. With the international cassette compilation TAPE REPORT (1985 C-60 Tape & Booklet, 1985-1990) DIE IND networked worldwide and with the local cassette compilation FADI The SAMPLER LINZ (1984-1988) I connected the most diverse music genres of the Linz music scene. In addition, DIE IND has released works by bands such as Psyclones (USA), Maybe Mental (USA), Problemist (USA), Monochrome Bleu (A) and Josef K. Noyce (A). DIE IND Artists released tracks on more than 50 cassette compilations worldwide. Why did I like the tape, the cassette, the K7 some much is easily explained: low cost, own copy station, variable packaging and design options, speed in production, good durability and sound, independence from press shops and a functioning network. What is there to see and hear in the exhibition: Cassetteproductions, coverart, fanzines, flyer, letters, videos and interviews. Accompanying program: A daily guided tour by Thomas Resch and (on) Thursdays curator Wolfgang "Fadi" Dorninger. Each week there is an evening with concerts and lectures. The program will be announced soon. Duration of the exhibition: 4 weeks. About Wolfgang Dorninger: Wolfgang Dorninger is musician, producer, sound artist and lecturer at The Art University of Linz.